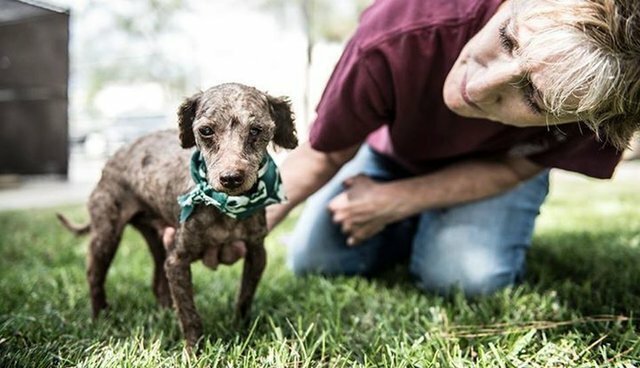 This is Canelo - a 6-pound,10-year-old blind poodle who's lived at a California shelter since he was surrendered in September. But as a senior dog with special needs, he doesn't live in the same place as the other dogs ... he's in the back, away from the noise of the main shelter. Lots of families come to shelters hoping to find adorable, healthy puppies - and, with Canelo in a separate place from the other dogs, it's easy for him to be overlooked. But his differences don't mean he wants a home any less. "Canelo is VERY sweet and trusting - I could lay my head next to his. 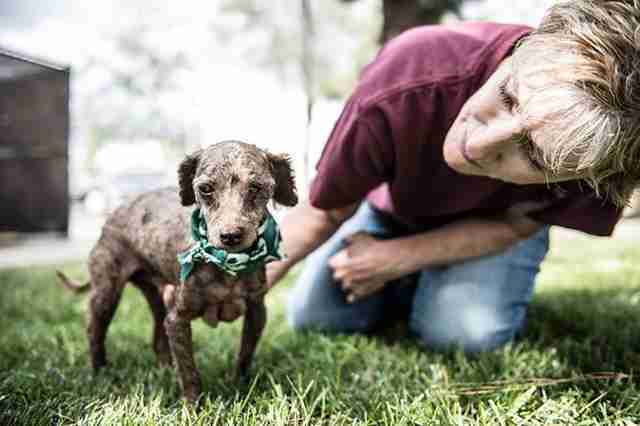 He has confidence, easy to pick up and cuddle, is only a mere 6 pounds and very little," Elaine Seamans wrote. There are lots of little dogs like Canelo who desperately need someone to take a chance on them and give them homes. Hopefully the right family will see this touching photo and fall head-over-heels for Canelo.